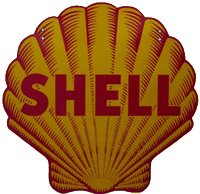 This vintage logo is for Shell Oil. The sign is shaped like a shell. 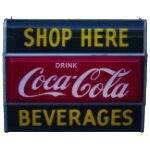 It has red shadow colors and large red block text with the Shell brand name.